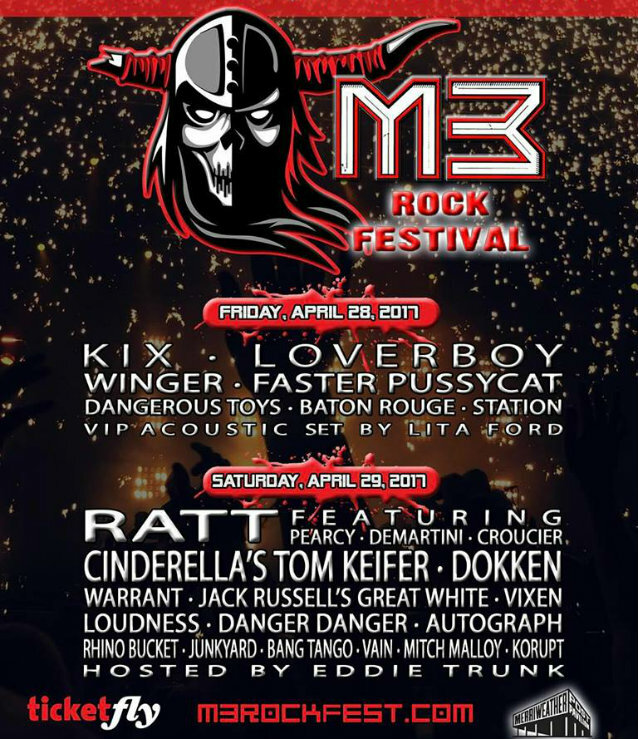 The newly reunited RATT, featuring three members of the band's classic lineup — singer Stephen Pearcy, bassist Juan Croucier and guitarist Warren DeMartini — performed on April 29 at M3 Rock Festival at Merriweather Post Pavilion in Columbia, Maryland. Fan-filmed video footage of the concert can be seen below. As before, Pearcy, Croucier and DeMartini were joined on stage by former QUIET RIOT guitarist Carlos Cavazo, who played on RATT's last studio album, 2010's "Infestation", and drummer Jimmy DeGrasso, who previously played with Y&T, WHITE LION and MEGADETH, among others. 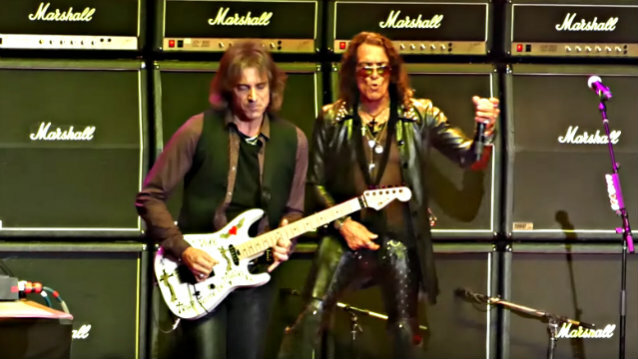 A completely different version of RATT — led by drummer Bobby Blotzer and featuring a revolving door of members — has been hitting stages across the country since the fall of 2015. Blotzer's most recent lineup of RATT included singer Seann Nicols (QUIET RIOT) alongside guitarists Mitch Perry (TALAS, HEAVEN, STEELER, MSG, LITA FORD) and Stacey Blades (L.A. GUNS) and bassist Brad Lang (Y&T).